Working on a personal logo for the photography business. My husband and I have been doing portrait and event photography, as well as event digital video and slideshows, for years. The past two years we’ve been approached by dozens of people offering to pay (yes, PAY!) for our services. Senior portraits, family portraits, weddings, births – heck, I’ve even done a day-long shoot for a local pitbull rescue (they sell calendars and greeting cards with the photos I took). 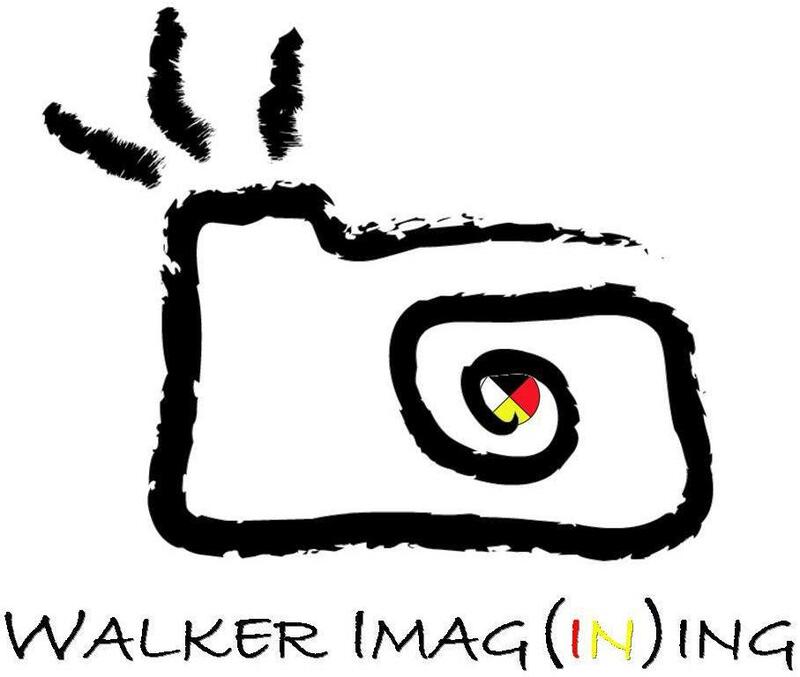 A few years ago I made business cards under the name “Innate Impulse Photography by Taté Walker.” It’s not a bad name, but shorter and sweeter is best, and now that my husband, the über-talented Dalton, is a co-conspirator, the Walker name needed to incorporate both artists. In addition, we wanted something to encompass who we are spiritually; hence the medicine wheel incorporation within the logo and choice color blocking. Finally, the play on words. Walker Imaging would have been fine, but Walker Imagining is better — we’re here to help you reach beyond the limits of what you think is possible for your portrait or event. Our business model is pretty basic: Produce high-quality, low-cost portraits, video, and audio for all of Life’s moments. While we guarantee stellar work that’s worth every penny we charge, we’re also not going to turn away a potential client due to an inability to pay. Innate Impulse Photography started as a way for low-income high school students to get quality senior portraits taken at a fraction of what it costs to get with some other studio. Affordability. Quality. Those are a pretty big deal for us. We will work with you and your family so everyone comes away happy – and not broke! Let us know if we can help you with your photography or video event! Email jtatewalker@gmail.com to schedule your free consultation today!